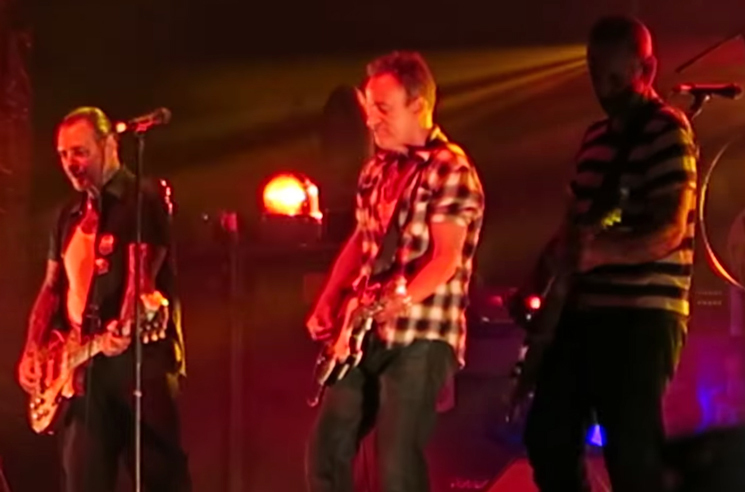 Bruce Springsteen's latest run of performances have largely kept him on Broadway, but earlier this week, he found time to join Social Distortion for a surprise three-song set in his home state of New Jersey. Towards the end of Social Distortion's set at the Sea.Hear.Now festival in Asbury Park this past Sunday (September 30), the Boss joined in to cover Johnny Cash's "Ring of Fire." He also lent his guitar chops to the band's original songs "Bad Luck" and "Misery Loves Company." You can watch fan-shot footage of the Cash cover in the player below. Springsteen recently announced that his massive Broadway residency will be coming to Netflix as a concert film.